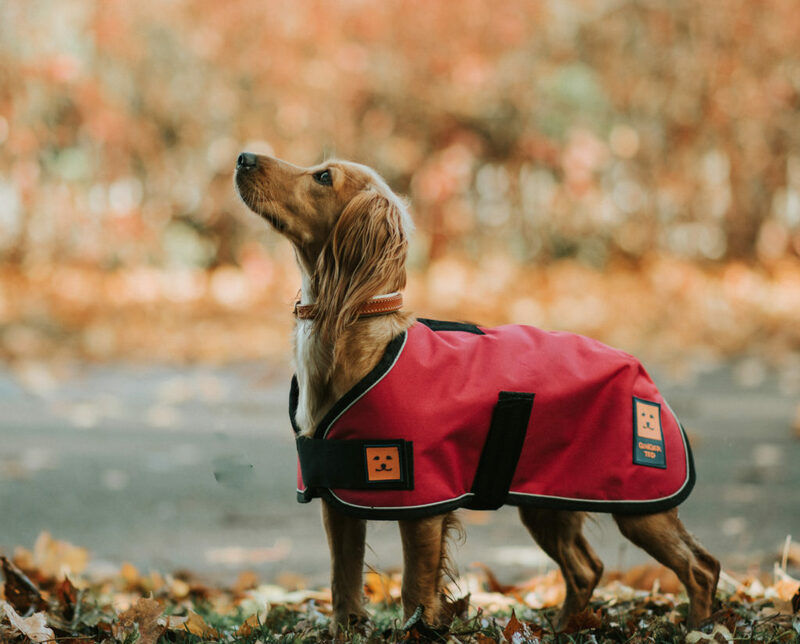 Maya and Lucia are typical spaniels, so when it comes to choosing their winter pawdrobe I look out for dog coats and jumpers that will withstand a bit of rough and tumble as well as being stylish and keeping the weather at bay. 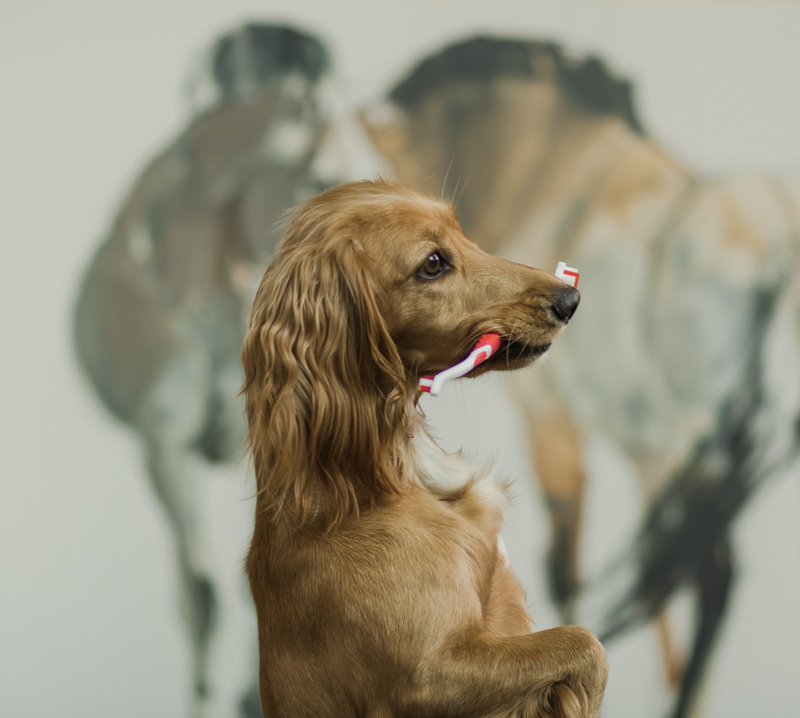 Ginger Ted, a company based in Yorkshire, recently contacted us to ask if we could put a couple of their products to the test and find out if they were dog enough for Maya and Lucia, and the girls definitely give them the paw of approval. 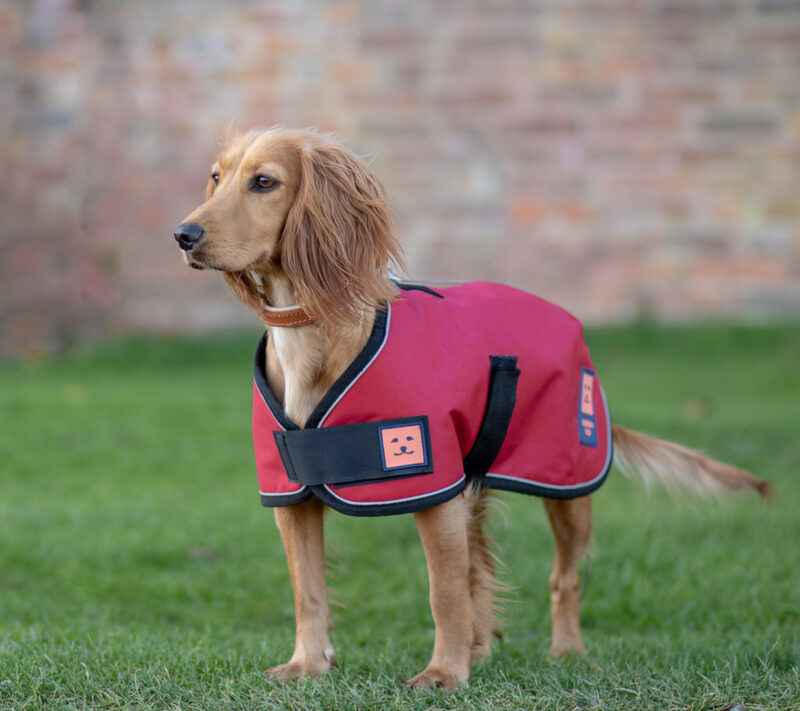 The company, who design all their own products have a range of waterproof dog coats, including ones designed especially for Dachshunds and Greyhounds. 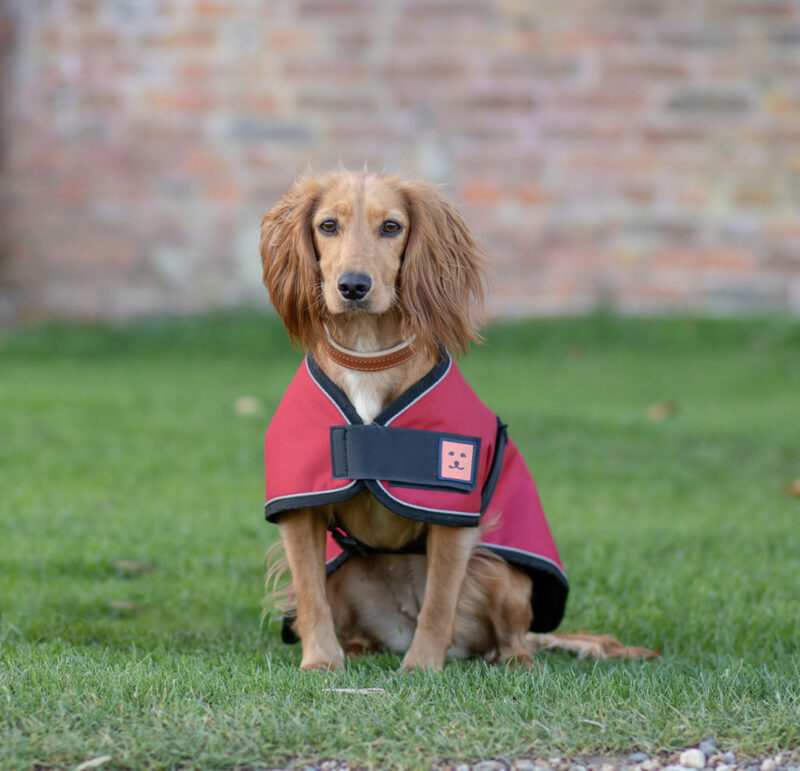 I chose the Shower Harness Waterproof Dog Coat for Lucia, it looks good on her and really is fabulous quality, the attention to detail is superb and the brands logo is so cute. The coat also does it’s job and has kept her dry in quite heavy showers. The coats are very generously cut and Lucia ended up needing a size smaller than she usually wears. 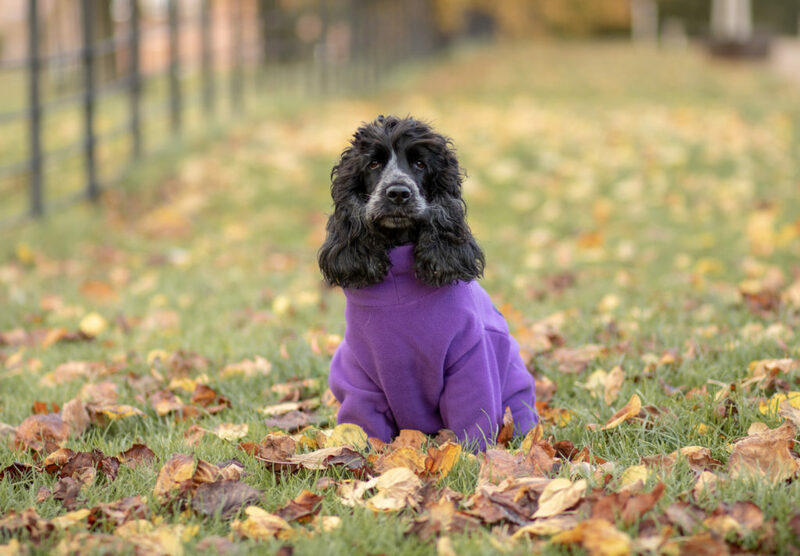 For Maya I chose a purple Cosy Fleece Dog Jumper, don’t you just love the colour on her? 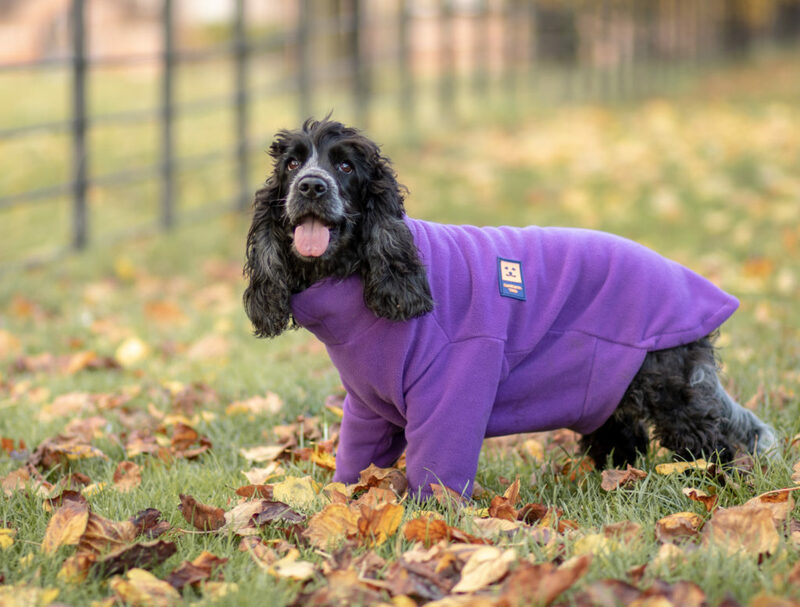 The fleece is windproof, breathable, quick drying, anti-piling and fully machine washable – just as well with Maya! I am really impressed with the quality of this product, so well designed and every bit as good as the brand I usually buy! I find fleeces invaluable for my dogs in autumn and winter, to keep them warm or to pop on if one or other of them takes an unscheduled dip in a river or pond. I also like that the fleece allowed Maya to move around freely, as being on the fluffy side she likes the roomy feel! 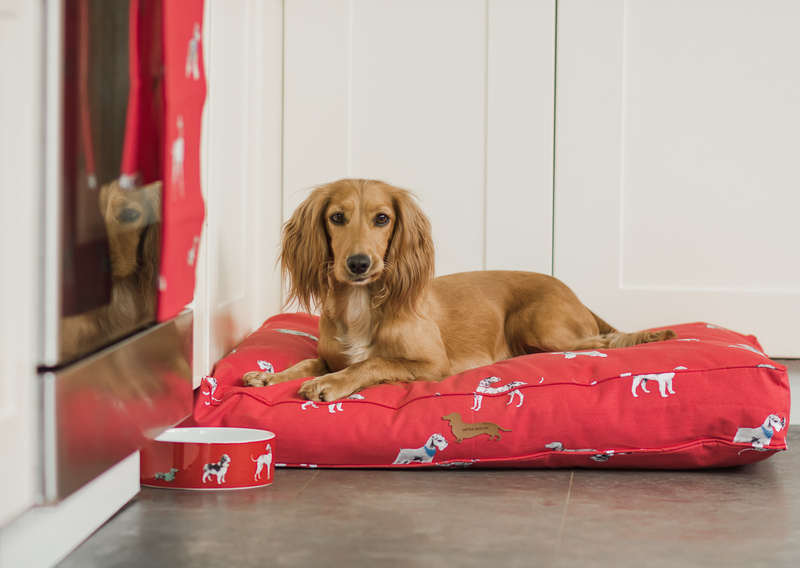 Ginger Ted also offer a selection of Dog Collars and Leads, Beds and travel products, such as Car Seat Covers and Waterproof Car Boot Liners. All the items are very reasonably priced and the company offer free delivery on orders over £10. 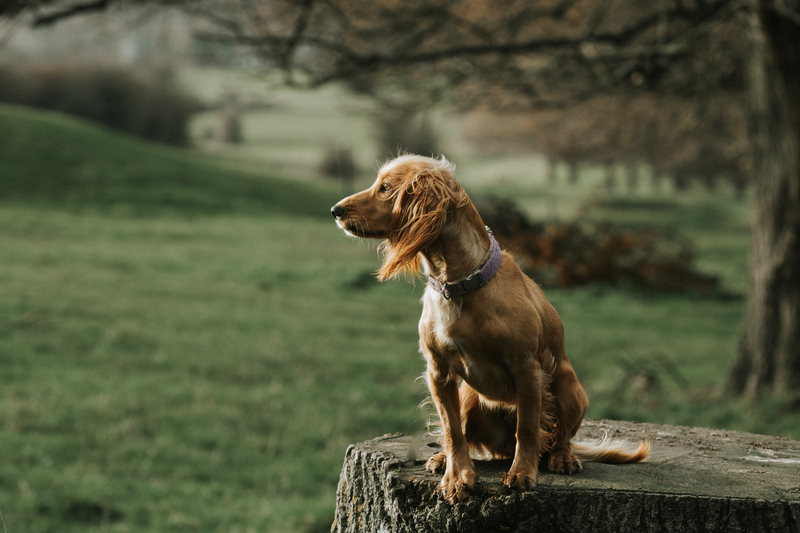 The people behind the brand are really helpful and friendly too, well they are from Yorkshire, and I think they’re succeeding in their mission “to improve the lives of dogs and their owners”. Ginger Ted also support several local and national charities such as Hearing Dogs for the Deaf. which I love to see a brand do. 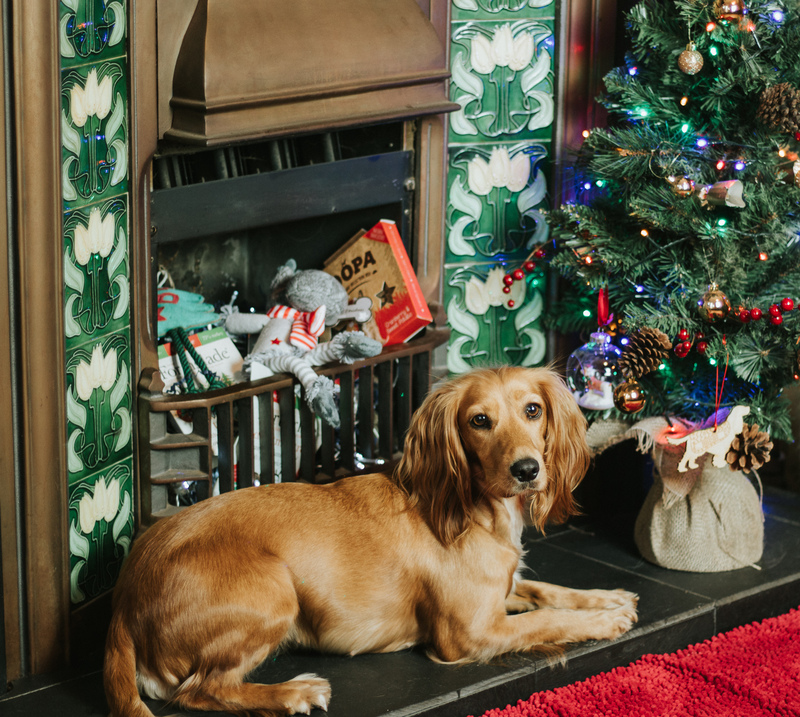 If you’re on the lookout to treat your pooch to a new dog coat or jumper this season I’m confident that you won’t be disappointed if you shop at Ginger Ted, you’ll probably save yourself a few pounds too! 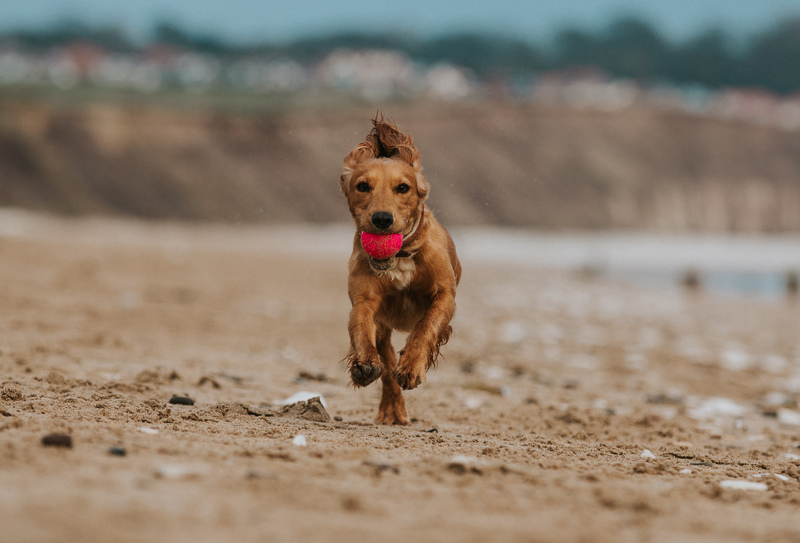 The products are available to order from the Ginger Ted website, you can also follow the brand on Instagram where they regularly post cute photographs of pooches showing off their clothes! 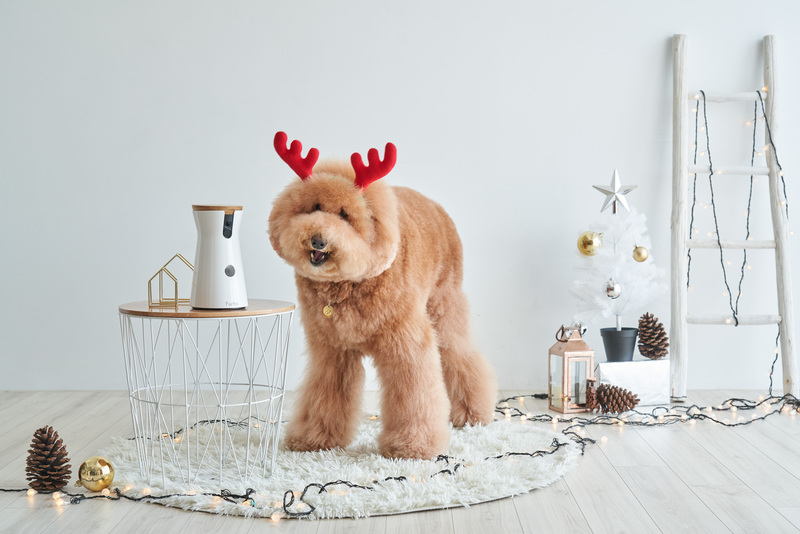 Furbo Dog Camera helps to find homes for rescue dogs! Lovely colours, she looks great in the red! To protect our seats as it’s a lease car. Can’t fault any of the products we have bought from Ginger ted. 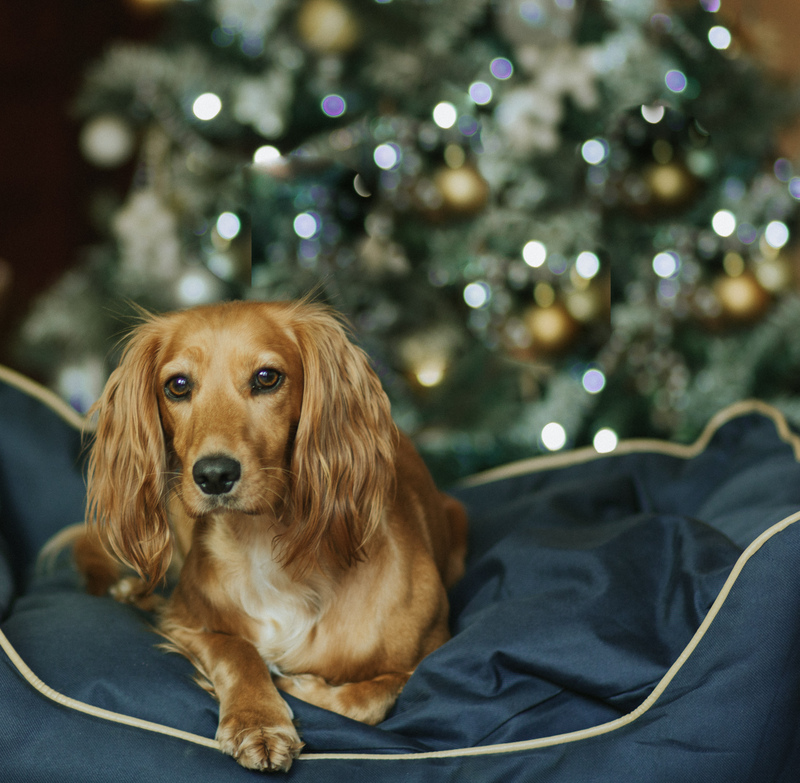 Stolen Dogs – Let’s Try and Help!